Surge Forward is looking for a smart, self-motivated, experienced, senior-level developers to work as a long-term independent contractors. Resume must include the tech stack under each job in order to be considered, directly on the resume. Must live in the US to be considered. 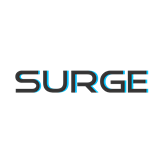 Surge is an onshore provider of custom web, cloud, mobile, digital, and desktop software development and consulting services to clients in every industry, from hot startups to Fortune 500 companies. Founded in 2007, and listed on the Inc. 5000 list of America’s fastest growing companies for five straight years, Surge has successfully delivered hundreds of software products, apps, and solutions to its clients using a proven agile/scrum development process combined with an elite group of North American software professionals. Simply put, Surge offers America’s best software engineers, on demand, at rates 30-50% less than the competition. Want to get notified about new jobs at Surge?